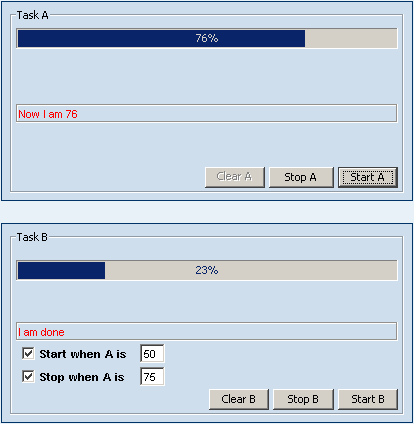 Progress Bar – a gauge which continuously presents percentage of task completion. Clear Button – clears the progress bar presentation to zero. 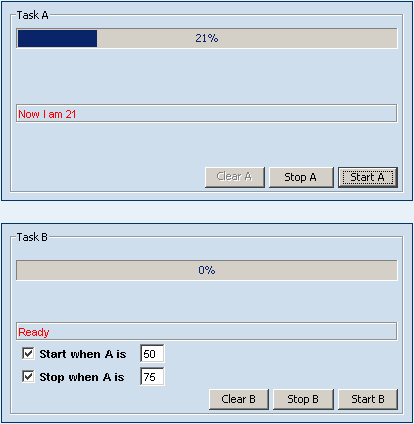 The following picture shows the properties of the Progress Bar control. 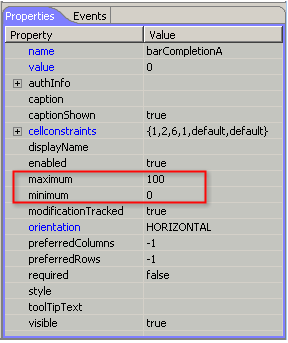 We limit the process bar values to a range of 0 to 100. Task A is a special ‘background’ task. We use the code bellow to define task A. 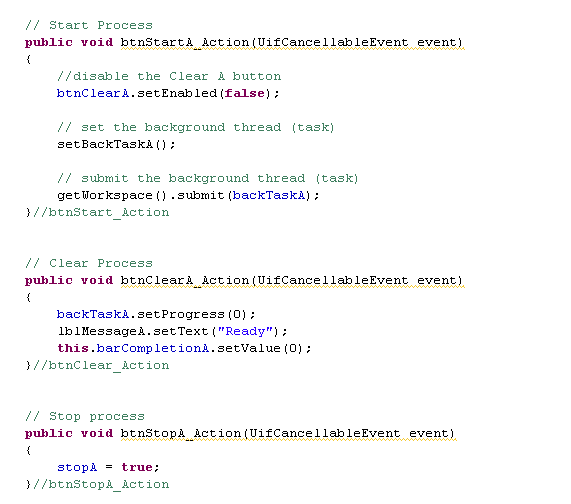 This part contains our main task logic, a loop which iterate 100 times, each sends the Thread to sleep for 100 ms). 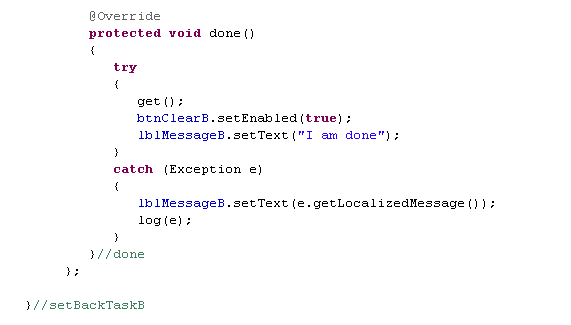 Note that within each iteration the code can interact with form variables to check their status. 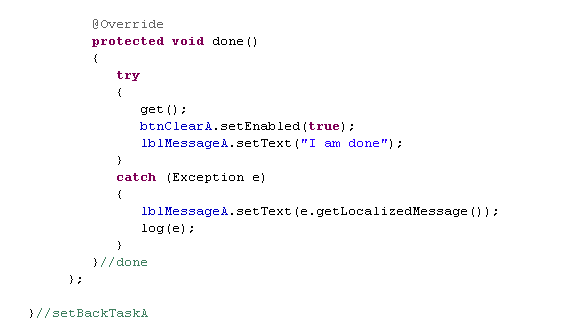 In our example, we use the boolean variable stopA to control the process and stop the task at any time. 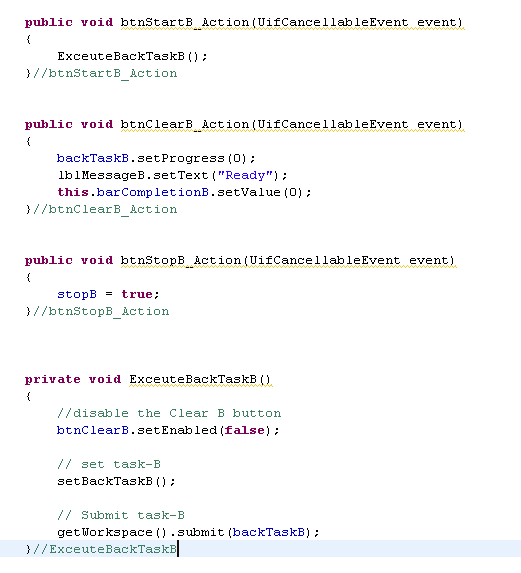 The code also updates the task internal property about its progress status ( backTaskA.setProgress(i) ). Note that the Clear button is disabled while the task is running. However, the ‘Stop’ button is always enabled and can be used any time while the task is running. This part is always executed after the main part either finished or interrupted. Note that the ‘Clear’ button is now enabled again. 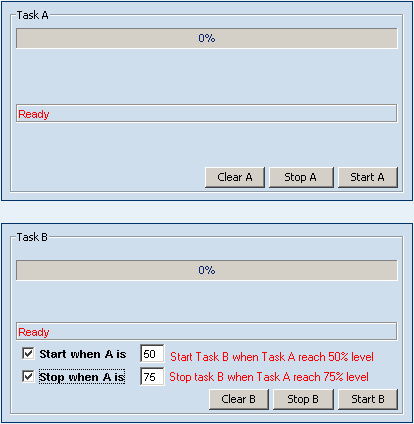 Now let us enhance our example to show how Task A can trigger and stop another task, while the start and stop thresholds levels can be set interactively by the user. We replicate our first panel, this time we add several controls to allow interactive threshold setting. Each threshold level can be set independently. 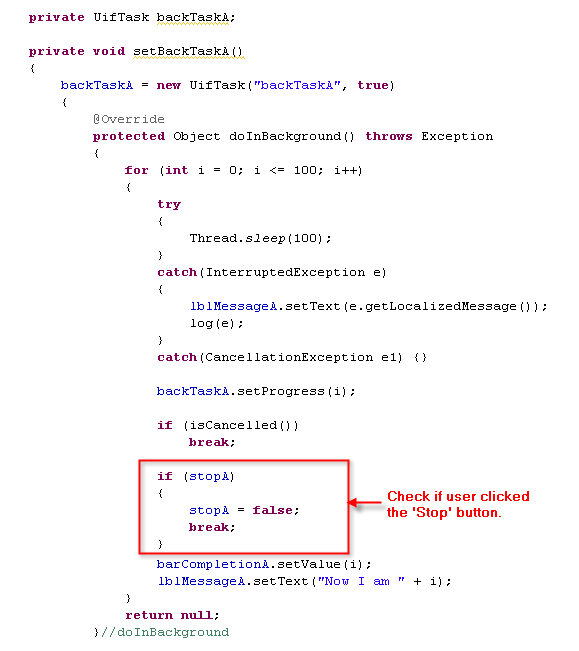 Each threshold level becomes effective only if its respective check box is checked, otherwise it is ignored. 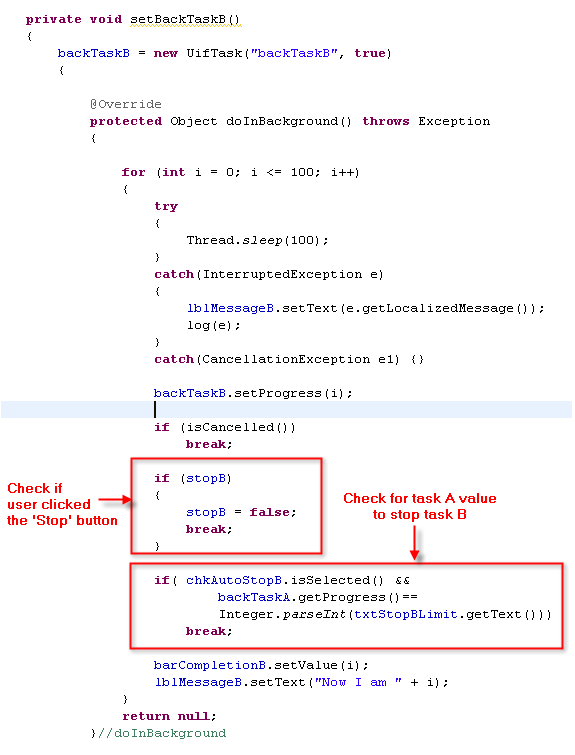 The code validates that the ‘Stop’ threshold value is checked, and then retrieves Task A progress value to compare it with the value entered by the user. We now have the following panels ready for testing. Task A reaches 50% level, Task B is automatically initiated. 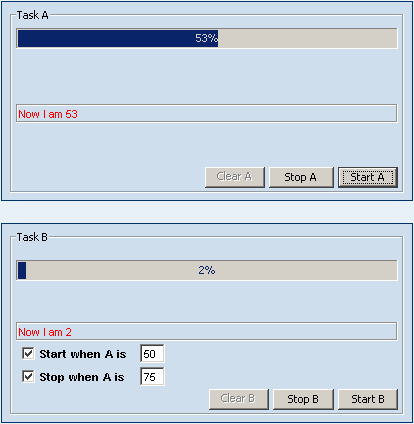 Task A passed 75% – Task B is automatically stopped. View live Asynchronous UI demonstration.